Shelf Drilling Management Team brings international experience across all sectors of the oil & gas industry. David Mullen has over 30 years’ experience in the oil services business. 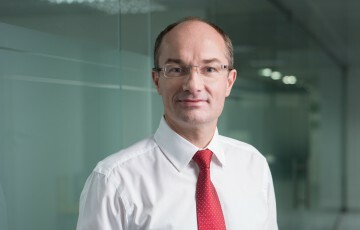 From September 2010 to April 2011, David was CEO of Wellstream Holdings PLC, a UK listed company that designs and manufactures subsea pipeline products and includes as part of the product offering, subsea services and installation. From April 2008 to August 2010, David served as Chief Executive Officer of Ocean Rig ASA, a Norwegian listed ultra-deep water drilling contractor. As a Senior Vice President of Global Marketing, Business Development and M&A at Transocean from 2005 to 2008, David spearheaded marketing and strategic planning. Prior to Transocean, David had a 23-year career at Schlumberger, including as President of Oilfield Services for North and South America. David received a B.A. in Geology & Physics from Trinity College Dublin and an M.Sc. degree in Geophysics from University College Galway. 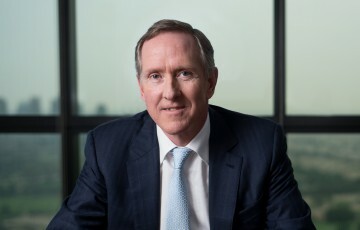 Kurt Hoffman is Chief Operating Officer of Shelf Drilling. Prior to joining Shelf Drilling, Kurt was Senior Vice President and Chief Operating Officer of Seahawk Drilling, a Houston and Gulf of Mexico-based jack-up drilling provider where he was responsible for the company’s daily operations and strategic business plan implementation. Kurt spent 18 years at Noble Drilling where he held senior operational and executive roles, including Vice President of Worldwide Marketing, Vice President of Western Hemisphere Operations and President of Noble’s engineering services division Triton Engineering Services. Kurt received a B.Sc. degree from Southwest Texas State University. 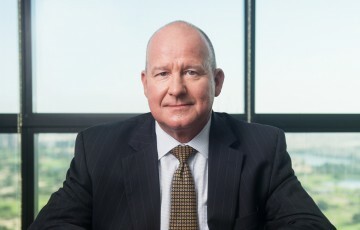 Ian Clark is Executive Vice President of Shelf Drilling, with responsibility for human resources, information technology, supply chain and strategic roles including overseeing the plan for independence from Transocean. Prior to joining Shelf Drilling, Ian spent over 12 years with Transocean where he most recently served as Vice President of Human Resources. Previous roles included Division Manager for Transocean’s operations in North East Asia and also Managing Director for Nigeria. Before Transocean, Ian enjoyed a 20-year career with Schlumberger in various management, technical and human resources roles across Europe and Africa. Ian has a B.Sc. degree in Electrical and Electronic Engineering from Heriot Watt University in Edinburgh, Scotland and completed the Advanced Management Program at Harvard Business School. Greg O’Brien is the Chief Financial Officer of Shelf Drilling and has nearly 10 years of experience in oil & gas corporate finance. Greg previously served as Director of Strategic Planning, in charge of Shelf Drilling’s corporate development efforts. He joined Shelf Drilling from Lime Rock Partners, where he worked for three years and focused on oilfield service and E&P investment opportunities both in the U.S. and internationally. Prior to joining Lime Rock, Greg was an investment banker in the Natural Resources Group of J.P. Morgan where he worked on financial advisory and debt and equity offering transactions. Before that, Greg worked in the Energy Investment Banking Group of SunTrust Robinson Humphrey. He is a graduate of the McIntire School of Commerce at the University of Virginia (B.S.). Dzul Bakar is Vice President, General Counsel and Secretary of Shelf Drilling since November 2012. Dzul has a strong background in international operations with over 19 years of experience and geographic responsibilities covering the United States, Caspian Sea, Middle East, and Asia. Prior to joining Shelf Drilling, he was the Associate General Counsel at Transocean where he assumed various legal, governance, compliance and operational counsel responsibilities. 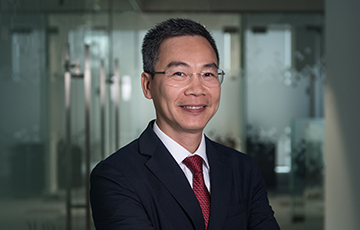 Prior to Transocean, Dzul spent six years at Schlumberger in a variety of legal roles of increasing responsibilities with postings in Singapore, Jakarta and Houston. At the beginning of his career, Dzul practiced professionally as an advocate and solicitor at a leading Malaysian law firm. Dzul was previously a Malaysian government scholarship holder and graduated with combined degrees of Bachelor of Economics and Bachelor of Laws from the University of Tasmania, Australia. In 2011 he completed an executive Management Acceleration Program at INSEAD Business School. Tran Ngoc is Shelf Drilling Vice President, Operations and joined the company in July 2013, after spending his entire career at Transocean. As Vice President of Operations, Tran is responsible for the daily operations of the Shelf Drilling fleet of rigs. Tran previously served as the Director of Operations for Shelf Drilling Southeast Asia, based in Bangkok, Thailand. In his 16 years at Transocean, Tran held a wide variety of key operational roles, culminating in his last position as Regional Operations Manager of the Northeast Asia. 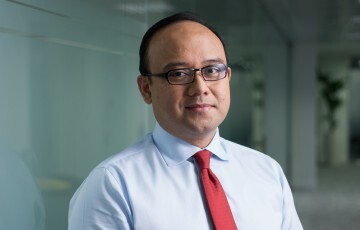 Tran’s other Transocean roles included Country Manager of Vietnam, Sale Manager of Vietnam/Thailand, Human Resource Manager of India Division and a number of operational positions as Rig Manager, Assistant Rig Manager, Operations Engineer, Trainee Engineer in Africa, India, Asia, North America. Tran has a B.Sc. degree in Mechanical Engineering from the Technology University of Ho Chi Minh City, Vietnam. In 2008 he completed an Executive Management Acceleration Program at INSEAD Business School. Jean Hahusseau is Vice President for Human Resources at Shelf Drilling. Jean has more than 32 years of experience from working at Transocean, starting as a trainee engineer in 1982, and culminating with his most recent position as Director of Total Rewards for Transocean prior to joining Shelf Drilling. At Transocean, Jean occupied various operational positions, such as rig manager and district manager in West Africa, Middle East and Asia as well as safety manager for Europe & Africa. Jean was also Director of Human Resources for the Europe & Africa Unit before taking up his post as Director of Total Rewards. Jean graduated from the École d’Ingénieurs en Construction Aéronautique in Toulouse, France. Michael Mezzina is Vice President and Controller at Shelf Drilling. 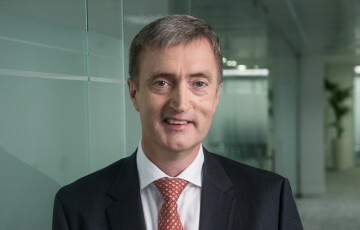 Prior to joining Shelf Drilling, Michael most recently held the role of Global Finance Director at Transocean, financially overseeing the worldwide operations of the company. 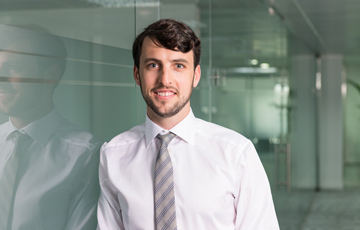 Michael has a wide range of accounting and finance experience. In his over 18 years at Transocean, Michael served in different capacities of increasing responsibilities. 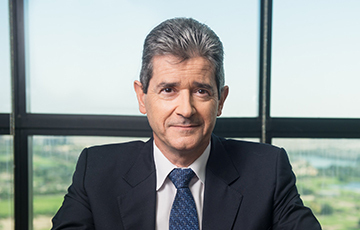 He lead in positions of Division Controller, Business Unit Controller and Director of Accounting, Corporate, with postings in West Africa, Europe, Egypt and the United States. Michael holds a Master’s degree in Finance from the Normandy Business School in France. 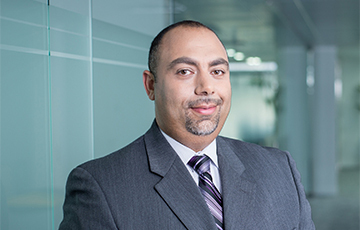 Ramy Danial is Vice President of Treasury & Tax at Shelf Drilling. Ramy previously served as Vice President of Tax & Internal Audit. Prior to joining the company, Ramy was the Head of Tax at Parker Drilling in Houston, Texas, overseeing all aspects of worldwide taxation. 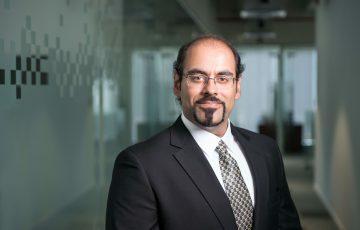 Ramy started his career as an international tax consultant with the public accounting firm PricewaterhouseCoopers and brings over 15 years of experience in global tax matters, internal controls and compliance with Sarbanes-Oxley. Ramy has held various tax leadership positions at Weatherford, Pride International and Kimberly-Clark. He holds a Bachelor’s degree in Accounting from John Carroll University in Cleveland, Ohio and is a Texas Certified Public Accountant. 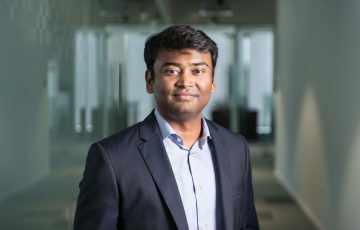 Rishi Srivastava is Vice President of Technical Services at Shelf Drilling and is responsible for our worldwide Asset Management and Global Supply Chain. Rishi previously served as the Director of Technical Services at Shelf Drilling. He started his career as Trainee Engineer in 2004 and has since held various operational and technical positions in India, Brazil, Singapore, US and Malaysia at Transocean before joining Shelf Drilling in 2012. Rishi holds a B. Tech. in Chemical Engineering from the Indian Institute of Technology, Kanpur and has completed the General Management Program at Harvard Business School. Aaftaab Kharbanda is Vice President for Projects at Shelf Drilling. Aaftaab previously served as the Director for Projects at Shelf Drilling, forming and leading the shipyard projects group responsible for executing the fleet’s reactivation and Out-Of-Service projects. He also led the company’s Newbuild initiative, executing and delivering the construction projects for the Shelf Drilling Chaophraya and Shelf Drilling Krathong. Aaftaab has 11 years of experience in the offshore drilling industry. Prior to joining Shelf Drilling, Aaftaab held various operational and project management positions with Transocean. Aaftaab holds an Undergraduate Degree in Civil Engineering and a Master’s Degree in Infrastructure and Project Management from the Indian Institute of Technology, Madras. He is a Harvard Business School alumnus, having completed the General Management Program.